Tilapia. I’m always interested in healthy cooking, but sometimes it’s hard to find recipes that are tasty and healthy, especially when it comes to fish. This recipe for Tilapia is a keeper. Merle, Jane, and two of their grandchildren. A few weeks ago, we enjoyed a new dish in the home of friends. Merle Eby is the chef on this one, and it’s his recipe. 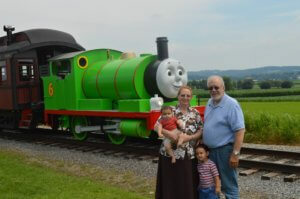 Merle loves trains, his grandkids, and Jane, his bride of 52 years. 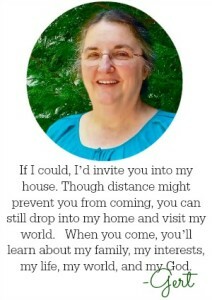 He also loves to cook and concoct his own recipes. When he put the Tilapia in the oven, it was ready in minutes. Granted, the bacon adds calories – but it only takes a few strips to feed eight to ten people. 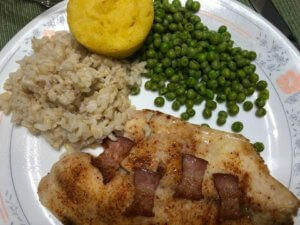 It’s tender, it’s tasty, and it’s tilapia-icious! One thing convenient and nice about this recipe is that you can wait until your guests arrive before popping the tray into the oven. If someone is running late, it doesn’t matter because you won’t be trying to keep food warm while you’re waiting. 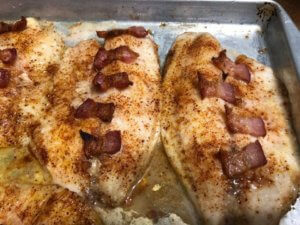 You’ll need Tilapia, season-all seasoning, garlic powder, Old Bay seasoning, and 3-4 strips bacon. It will be done in 10-12 minutes. As easy as A, B, C, this Tilapia dish is ready in minutes. 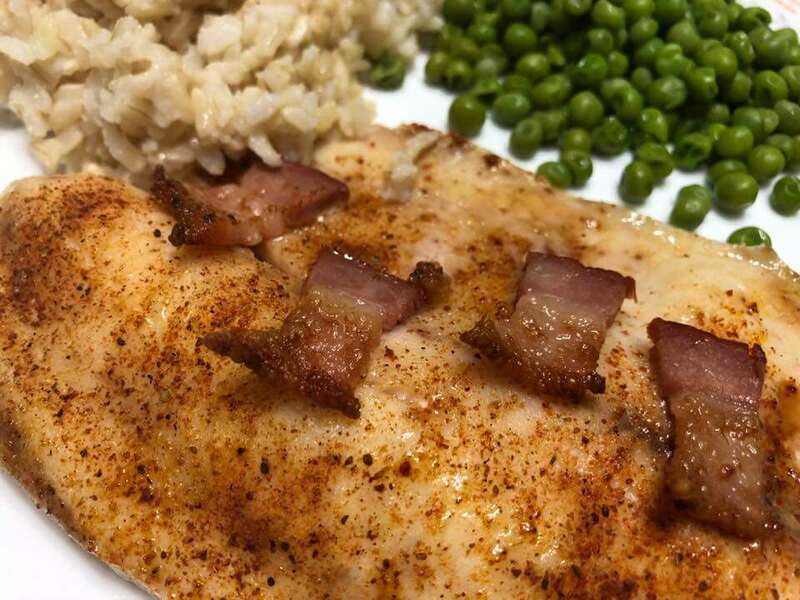 Seasonings and bacon make this dish a simple yet elegant dish. Broil for 10-12 minutes or until the bacon is done. When the bacon is done, the fish will be done.